After 14 years of planning and two years of construction, the new underpass opened Sept. 4, replacing the 66-year-old original underpass. The photos here show some of the excitement of the day. 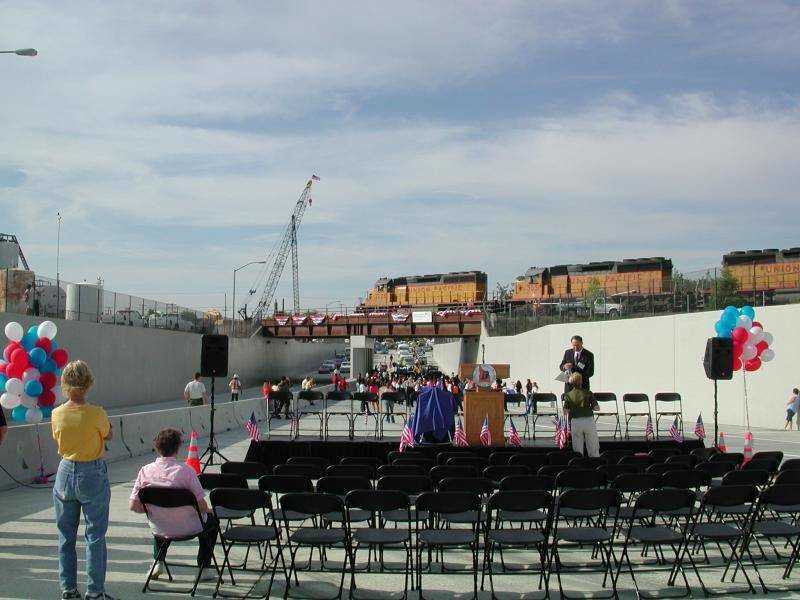 The reason for the underpass went by just a few minutes before the ceremonies started. 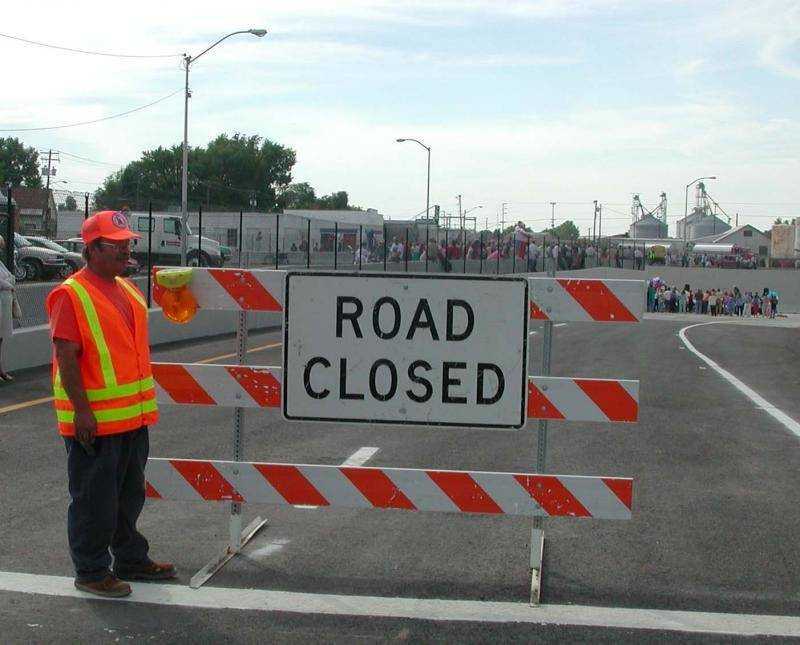 City residents saw this sign for the last time Thursday. 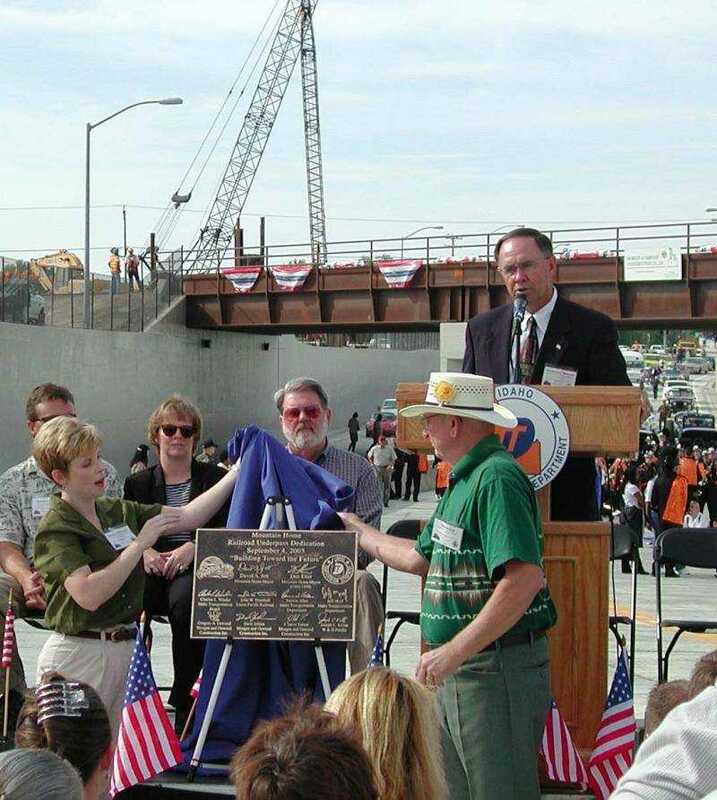 Former Mayor Don Etter, who began the underpass project, unveiled the plaque for the new cross-town facility. 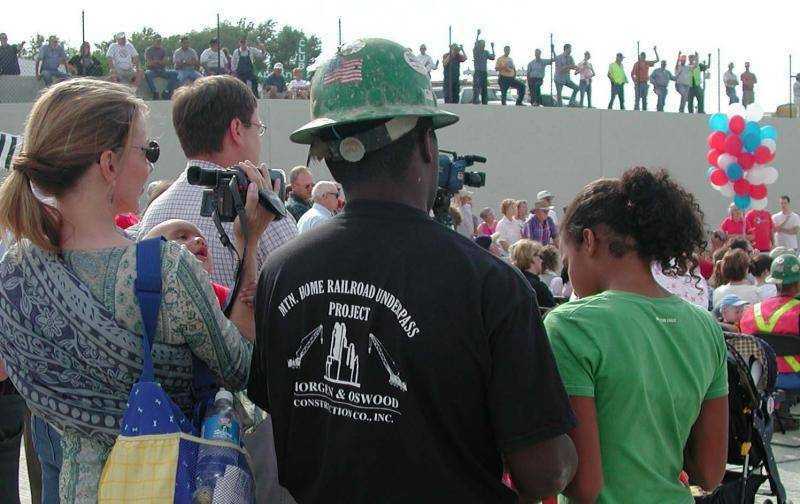 Members of the construction crew and their families, here Cameron and Mary Ellen Hale and some of their children, looked on as the job came to an end. 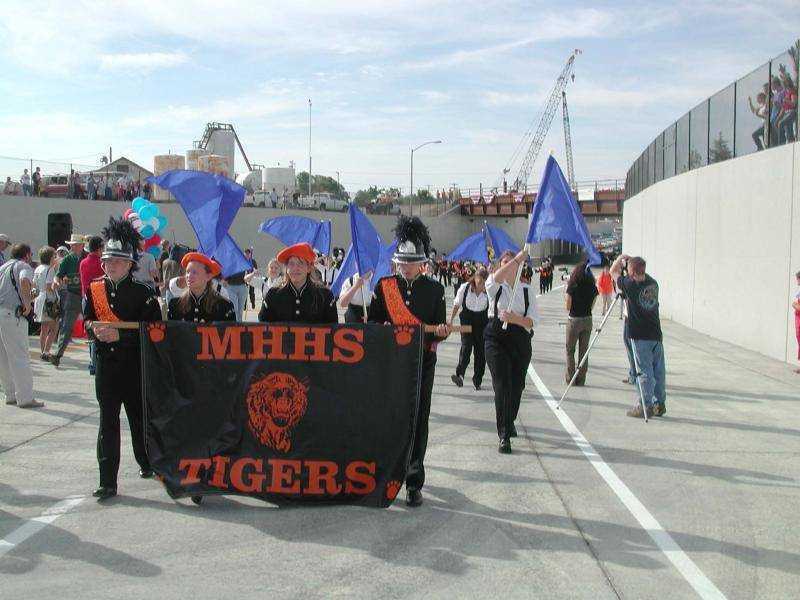 The high school marching band lead the way for the parade of cars lined up to be first through the underpass. 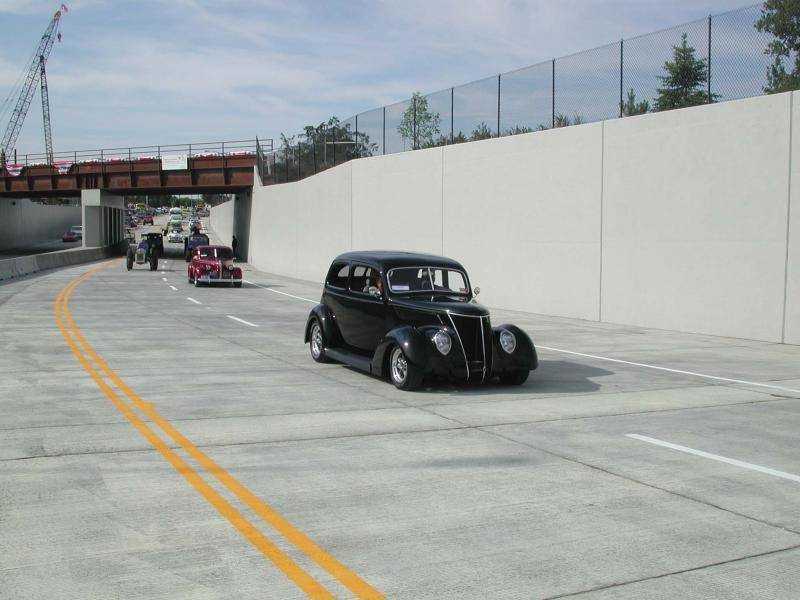 Cars, trucks and farm equipment from nearly every year the old underpass had been in existence were the first through the new underpass, led by Monte Curran in his 1937 Ford Tudor. 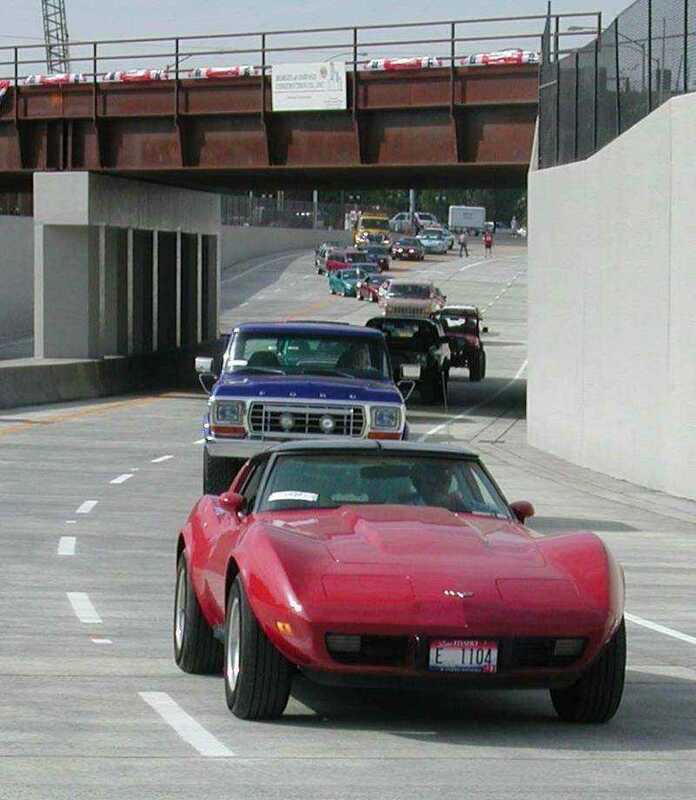 The parade of first cars through the underpass, which began with a 1937 Ford, continued for nearly 20 minutes as more modern cars, up through 2003, followed. A crowd of nearly 500 people attended the dedication ceremonies.